Whether you enjoy restoring old homes or are looking to update the look and appearance of your home, deciding how to meet your home renovation goals on a budget can be challenging. Do you start with a bathroom remodel or a kitchen remodel? Should you focus on a new and more energy-efficient heating and air conditioning installation? Before you start knocking down walls or removing fixtures and cabinets, let’s take a look at some great tips and advice to help you accomplish your renovation goals and still stay on budget! The first and most important step is to determine how much you want to invest in home renovations. Knowing how much money you have to work with will help determine what you can and cannot afford. Plus, it will let you know if you may need to save up a little more before starting your renovations. Take a moment and decide which renovations are the most important. The best way to do this is to write down all the renovations you would like to make to your home. Once you have your list, number the renovations, with number one being at the top of your list. You can frequently find a variety of home renovation experts who offer free consultations to discuss your home renovation needs. It never hurts to get some input and advice from these experts, as they may point out certain things you may have overlooked. You know what renovations you want to make to your home. Prior to starting any work, you should transform your ideas and put them on paper. Having a design for your project will make it easier to know which materials and supplies are required. Part of knowing if you are on target with your budget is knowing which supplies and materials you will require. Once you have your list, then you can start getting prices so you can determine how much everything is going to cost. One great way to stretch your budget further is when you can do some of the renovation work yourself. Not everyone is cut out to do all types of DIY renovations. Sure, those home renovation programs make it look easy, but there are often certain parts of the work that you never see on TV. Start by being honest about your abilities and skills. Then go down your list of renovations and decide which parts of the job you can do yourself. For instance, with a bathroom remodel, you probably can handle painting the walls and resurfacing (repainting) your cabinets. However, when it comes to installing a new shower or tub or sink, these are often better left to a professional to provide expert plumbing services. It never hurts to ask friends or family that have abilities or skills in different areas to help with your home renovation projects. For instance, your brother-in-law may be great at installing new flooring. Just remember to thank anyone who helps by feeding them or offering to pay them for their assistance. Anything you can recycle, repurpose, and reuse will help reduce your renovation costs. Think about how you could transform an existing object into something else that would work with your new room design. For example, if you have a huge single mirror in the bathroom, you could repurpose it into several smaller mirrors by having the mirror professionally cut into new shapes and sizes. It can be tempting to want to renovate your entire home from top to bottom as one big project. Doing so is never a good idea, as it can turn your home upside down. Every room will be torn apart at some various stage of renovation. It is better to pick one room, fully renovate it first, and then move on to the next room. If you reach a point where you are stuck because something is beyond your abilities or there’s something you simply do not want to do, get help from a professional. It is better to utilize professionals at the right stages of your project to keep it on track and have the work completed right the first time. It could cost you more to have a professional come in later and fix something you tried to do unsuccessfully. If you are removing drywall, parts of the ceiling, or other areas that expose ductwork, plumbing, or electrical wiring, you will want to take advantage of this access during your renovation. For example, if you have older plumbing lines, you may want to schedule repiping plumbing services. Replacing the lines now will prevent having to tear everything back out later to resolve a water leak or another plumbing issue. Check out high-quality vinyl flooring. You might be surprised to find vinyl flooring that looks and feels like hardwood or ceramic tiles for much less. Modern vinyl flooring comes in small sections, which make it easy to install. You could even use it on your walls for a modern and trendy appearance. See if your cabinet and countertop supplier has overstocked items. Sometimes you can find that your supplier ordered cabinets and countertops for someone else and had extra materials left over after their project. In some cases, the person may have decided on a different color or style afterward. Most suppliers want to get rid of these if they can, so you could get a decent discount by shopping for these types of bargains. See if your plumber has any overstocked fixtures and faucets. Just like cabinets and countertops, sometimes your plumber will have extra fixtures and faucets left over from a previous renovation project. Reuse your existing cabinetry. If your current cabinets are in great shape, reuse them. You can paint them a different color or sand them and stain them a new color. If your cabinets need to be replaced, but the doors are still in decent shape, you can save some money by reusing the existing doors. How old is your current system? If your current system is 15 years or older, its useful lifespan is coming to an end. It may last another couple years. 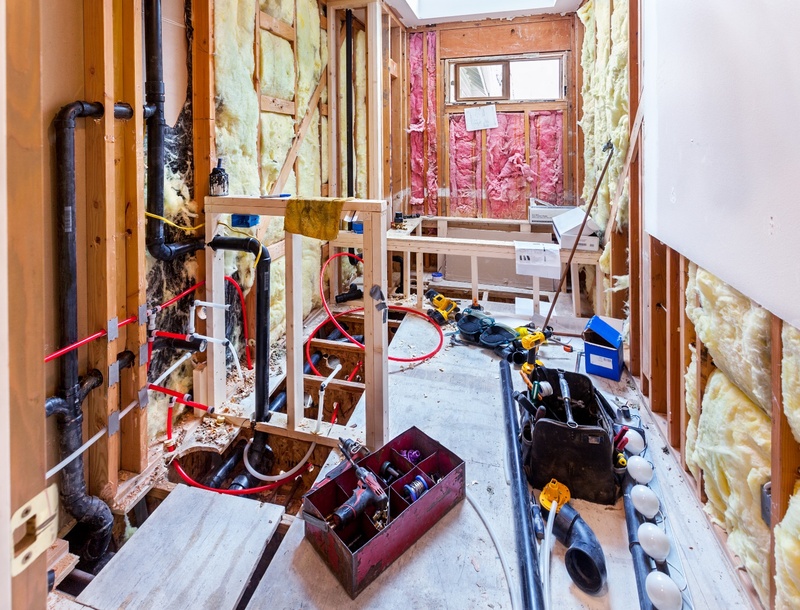 To avoid an unexpected system failure, it might be more worthwhile to get a new HVAC installed before tackling other home renovation projects. Do your energy bills continue to increase? If you notice your energy bills are going up month over month or year over year, you may want to replace your HVAC system. As systems age, even with the proper maintenance and repairs, they will gradually start to use more energy to function correctly. Cutting your energy costs with a new system will help give you extra money to start setting aside for other home renovations. How often do you need HVAC maintenance and repair services? 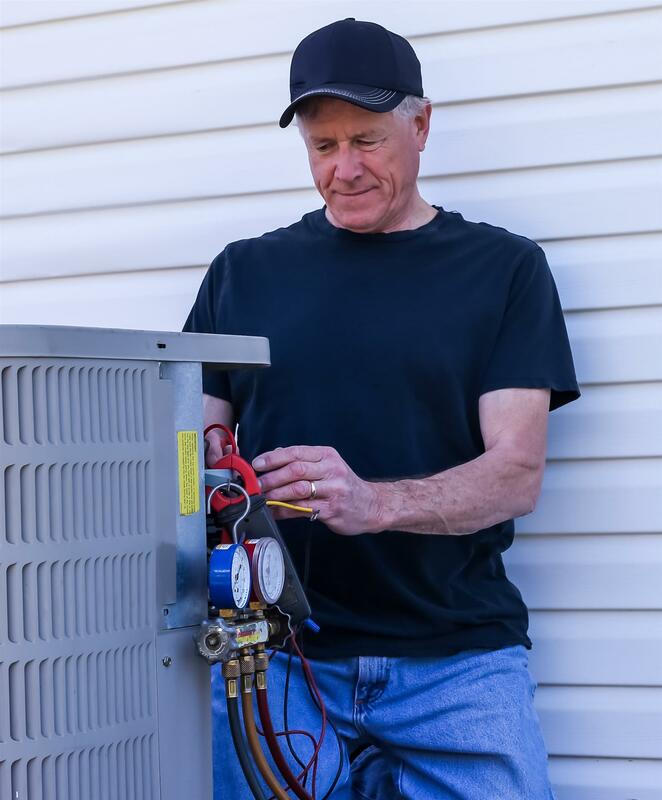 If your HVAC technician is visiting your home on a monthly or more frequent basis for maintenance and repairs, you will want to consider getting a new system installed. In the long run, you could end up spending more to attempt to keep your current system running a few more years than to have it replaced now. As you can see, undertaking home renovations when you are on a budget does require you to decide what is most important for you and your family. Making sure you are cool and comfortable during the hot summer can be a higher priority than renovating your kitchen or bathroom. For professional advice and assistance with home renovation plumbing services and repairs, as well as HVAC maintenance, repairs, and new heating and air conditioning installations, please feel free to contact the skilled plumbers and HVAC technicians at Christianson Air Conditioning & Plumbing. We have been helping homeowners in Austin Metro, San Antonia, New Braunfels, Temple, and the surrounding areas with their plumbing and heating and cooling needs since 1950.